Weekday warrior, 100+ rides per year. 1st mtb: 1994 Bridgestone MB-4. For sure. That EVO is a pound lighter and with better ramp up with an air shock. There's no way around the EVO feeling more heavy-handed, as it's more stable, but plenty of EVO owners report it having plenty of support and being a great bike for jumping and a good climber. Riding the Sentinel has opened my eyes to the concept and i think tons of riders would love that bike or the EVO. The standard stumpy (demoed one) in it's stock setup is a bit of a snoozer compared to comparable bikes with steeper sta, longer reach, and slacker hta (ripmo, sentinel, sb130). 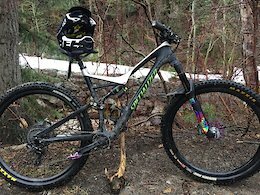 But if you slammed the bars on the standard stumpy (long head tube), upforked it, slammed the seat forward, had a proper reach and a high end rear shock, I think it could shred. That's kinda what Vital mentioned could be a good halfway point at the end of their Stumpy head to head review. @necros: that's the main drawback for me too..... 160mm air shaft and high setting seems to be the way to go. Not every corporate commercial in the universe needs some faux environmentalist undertone. Who gives a sh*t if I plant 12 trees if when my Corolla dies I replace it with a monstrosity like this. agree with the classifications in theory, to provide context to the achievement. disagree with "doesn't seem like much of an accomplishment...." If you've ever done any endurance sport for close to the 24 hour range it ceases being fun a loooooooong time before that, especially if it's repetitive like this. Also, maybe you have the finger, tendon, and forearm strength of a professional climber, but I don't. Even if the terrain isn't BC-certified gnargnar..... holy sh*t, this is insanely brutal on the body. Have you ever spend a day at the bike park casually clocking laps and still come out fresh at the end of the day? No. ...upon completing it's gestation period the outer carbon cocoon will crack and shed itself so the EX471 can be set free. 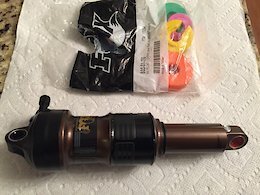 Did you bump up your shock stroke to 55mm too? There was a sick coiled 130 on Vital the other day. Interesting. My one (XL) sb130 demo was way better than my 3 (L) Ripmo demos. 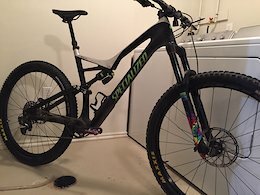 Gonna get some time in on my friends XL Ripmo soon but I think a LR setup would beat the Ripmo climbing and match it on the descents even with a little less rear travel. Two great bikes. 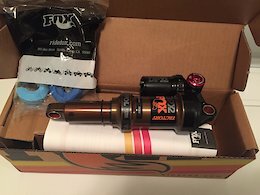 And Ibis offers a build that’s $1k less than the cheapest Yeti build. HTA is a non issue imo. In a few years most trail bikes will be in this realm. When the sta is properly steep and the bike fits then 65 is about right. The Sentinel for example feels great at 64 and I’ve ridden the 130 too. LR is exactly how i’d set one up but riders who aren’t pushing it to the edge of it’s capabilities are fine with the stock setup. Just another option and you don’t need to spend $7k to set one up this way. 48 times for effective than WaveCel at preventing concussions. *disclaimer* I own stock in Haribo. What’s he up to this season?